SARDA CanTech, is a charitable organization helping the community to search for vulnerable missing persons using specially trained dogs. We are members of the National Search and Rescue Dog Association (NSARDA). Our members and supporters come from many walks of life, including the teaching profession, the Police Service, the Fire Service, British Telecom, counseling and public service personnel and are both working and retired. SARDA Cantech dogs and handlers are trained to work in all types of lowland terrain and situations including open countryside, woodland, all types of sound buildings, urban areas, wetlands, flood plains, waterways and lakes etc. The dogs can pick up scent in inaccessible locations such as drains and tunnels, enabling our teams to effectively search wide areas as quickly as possible. In daylight with good conditions a single dog and handler can cover up to 160 acres of open country in 2 hours or 80 acres at night. We have been specializing in water search since 1999. This began with one Newfoundland Water Dog but we now have several dogs that can confidently find in water. We have been fortunate enough to be able to train using SIGMA pseudo scent for ‘Drowned Victim’ enabling us to recognize the, sometimes subtle, indications and alerts from our dogs that differ from finding a ‘live’ missing person. For various inshore searches we have at our disposal a large inflatable boat with outboard engines. It is equipped with an electric ‘troller’ and safety equipment for the use of humans and dogs. 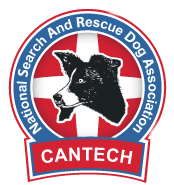 CanTech is active within National SARDA in setting and maintaining standards for lowland search dogs, whether they are air scenting, tracking or scent discriminating. We have had considerable input into the structure of lowland search dogs in the UK and had our standards adopted by NSARDA for all lowland non-mountain search dogs. Our members are committed to their work and give much of their free time. All have confirmed their willingness to take time out when needed for search work and to dedicate a minimum of time to training. We have support from the team of “Valentines Gift Ideas” who help our members. We have been involved with searches covering several counties and have provided an important free resource to police forces across the country. CanTech usually has up to 20 dogs in training. The majority of these are search ready for Hasty or Open Area with a number also specializing in buildings (not collapsed), water search, scent discrimination and tracking. The unit is able to supply all the training necessary to bring the dog and handler up to an operational level, but basic control is a prerequisite before a dog and handler can be assessed for probationary membership. The handlers have to be reasonably fit so that they can keep up with their dogs but perhaps more important is the ability to carry out tasks meticulously whilst working within a team environment. All our operational members have completed various courses relevant to search techniques, such as Basic Search Techniques run by ALSAR or our own Fundamentals of Search & Rescue. 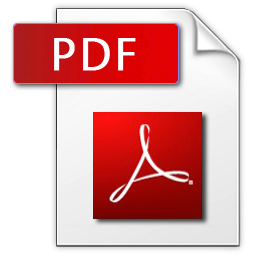 We have a policy of continued education in all aspects of search training. A typical search could require driving a 6 hour round trip with a minimum 8 hour search shift, possibly with an overnight stay to continue the next day. The cost to an individual searcher is anything from £45 upwards per call-out. Each member is responsible for all their own expenses, including basic equipment and travel costs. Therefore CanTech is grateful for any donations and/or sponsorship that comes their way which can help to offset some of these costs. Uniform is especially expensive as it has to be good quality to protect in all weathers. All of the specially trained dogs are the members family companions so are loved and cared for by their own family. They do not get passed on when they retire from search work. It is hoped to build up the number of dogs, handlers and support personnel and keep them fully trained and available, so that the unit can continue to offer its free services day or night, whenever or wherever it is needed in lowlands areas throughout the UK. eternityrose.co.uk – the Christmas gift she deserves! Cantech SARDA © 2019. All Rights Reserved.